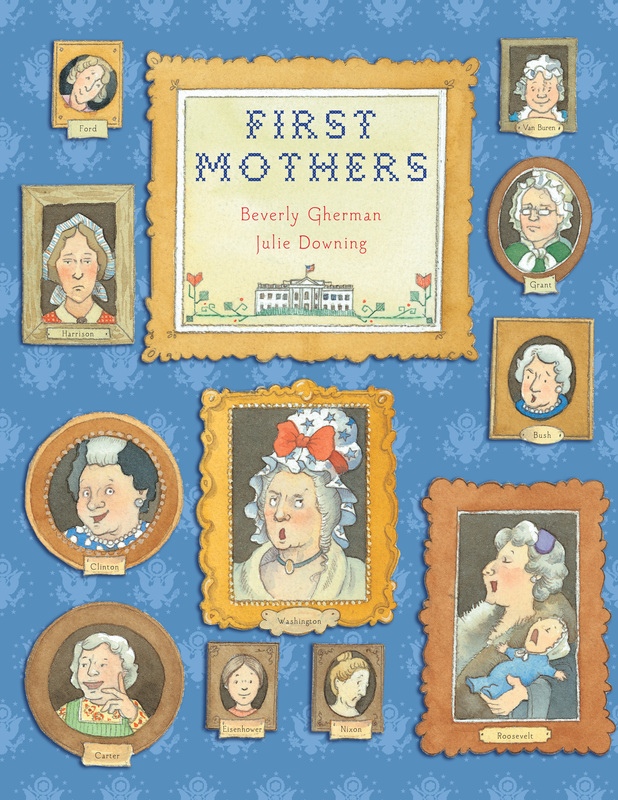 A new book called First Mothers , written by Beverly Gherman and illustrated by Julie Downing, aims to remedy this oversight. (Fathers of presidents are more often talked about, and are even occasionally presidents themselves.) Intended for kids aged six to nine, it’s still a fascinating read for any age, considering that we learn very little about presidents’ mothers in schools. Starting with Mary Ball Washington, George’s mom, the book goes through history’s first mothers–and in one case, an additional stepmother–giving each a nickname, such as Abigail Smith Adams, The Modern Mother (mom to John Quincy, of course). It also gives important dates in the mothers’ lives, such as birth, marriage, divorce (where applicable), and death, plus the birth date of their presidential offspring. It ends with Stanley Ann Dunham, President Obama’s mother. While the book does focus mostly on the mothers’ lives, it is also sure to include each mom’s relationship with the son that would later be president. Some moms are given a full two-page spread, others one page, and others get half of a page. But whether we get a single anecdote or a more involved history, First Mothers gives plenty of biographical information, and is worth a read for anyone interested in United States history. First Mothers retails for $17.99 and comes out on September 11, 2012. Give this book a read with your kids, and learn a bit about our presidents’ upbringings.